Chuck E. Cheese's took to Twitter Tuesday to deny a viral conspiracy that the restaurant chain collects uneaten slices from customers' tables to reheat and cobble together "fresh" pizzas. "The claims made about Chuck E. Cheese's and our pizza are unequivocally false," Chuck E. Cheese's tweeted. "Our pizzas are made to order and we prepare our dough fresh in restaurant." The company issued similar responses to multiple users entertaining the theory. 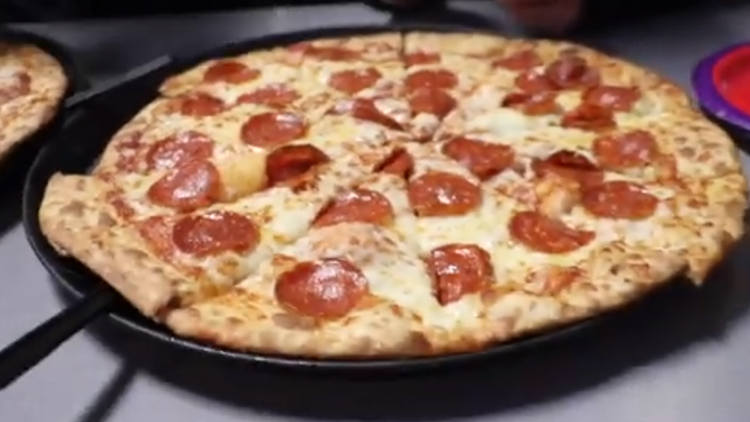 The conspiracy spread like wildfire after Youtuber Shane Dawson, who has over 20.5 million subscribers, posted a 94-minute "investigative" video Monday featuring pizzas with slices that seem not to fit together. The video also claimed Chuck E. Cheese's promoted underage drinking, childhood gambling and unsanitary conditions. By Wednesday morning, it had been viewed over 14.5 million times. Despite the company's denial, some Chuck E. Cheese "truthers" went to investigate the claims for themselves. Chuck E. Cheese employees came to the restaurants defense, offering behind-the-scenes video and explanations for the misshapen pies. "I work at chuck e cheese and I can tell you we literally do not recycle our pizza slices," one user tweeted. "That’s whack. I've seen the kitchen guys make fresh pizza all the time a new order comes in and see the gameroom guys throwing out left over pizza on table." "All the slices are from the same pizza," a Reddit user claiming to work for the restaurant said. "It’s just when the pizza comes out of the oven, they place it on a cutting board in order to slice it. The slicer is very large and kind of heavy, so some ppl [sic.] have a lot of difficulty trying to cut the pizza perfectly... After the pizza is done being cut, the cook slides it onto a tray to carry out to the guests. It’s when the pizza is being slid off of the cutting board and onto the tray where it gets kind of wonky looking."